Welcome to the website of the Ulster Group of the Alpine Garden Society. This website belongs to the Group members; its intent is to be by the members, for the members, and the development of its content will be guided by feedback and advice from any and all the members. Its main function is to give members information of local interest, along with links to AGS, SRGC and many other organisations and sites of interest. 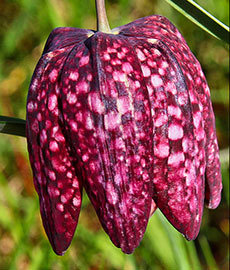 The site features and invites contributions from members, including Plant of the Month, seen on the right (Click picture for full description). The Alpine Garden Society was founded in 1929 and has grown to become one of the largest specialist garden societies in the world with its aim to promote an interest in alpine plants in cultivation and in their wild habitats. The Ulster Group of the AGS is the oldest, dating from 1938, and has strong links with the other Groups in Ireland, in Dublin and Cork. 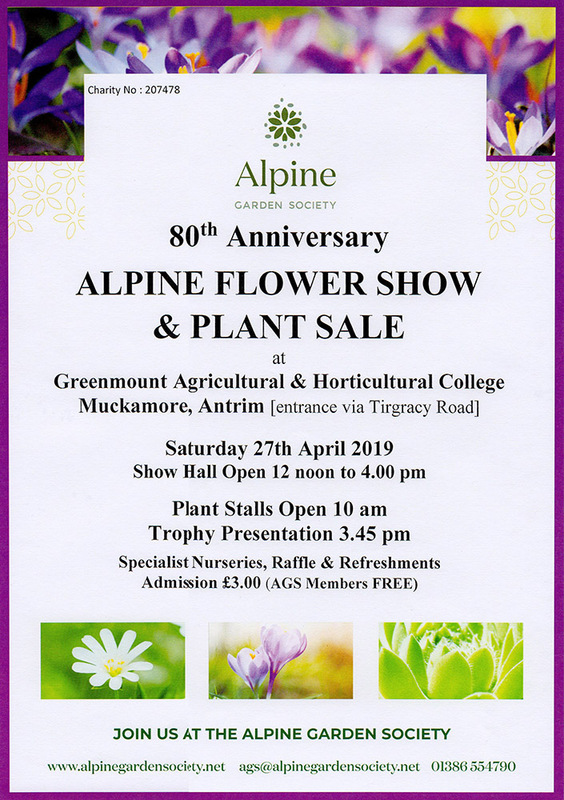 - A Short History of the Ulster Group of the Alpine Garden Society, by John McWhirter, which appeared in the first edition of the Newsletter can be read here.